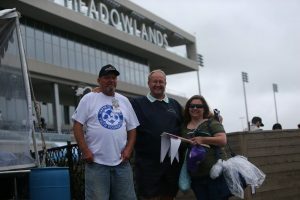 Indiana was well represented on the Hambletonian Day racing program at The Meadowlands Saturday, Aug. 4. Satin Dancer, owned by Byron Hooley’s Summit Pacing Acres of Fort Wayne, Ind., trotted home with a final panel of :27.3 to finish second to Muscle Diamond in 1:51.0 in the first pari-mutuel race of the day. Starting from post two, Satin Dancer stayed along the rail for Tim Tetrick as Obrigado and Mark MacDonald set the tempo before being challenged by Muscle Diamond and Andrew McCarthy on the outside. In the stretch, Satin Dancer made a closing move in the three-horse photo, finishing just a neck behind Muscle Diamond and a neck in front of Lagerfeld and Johnny Takter. 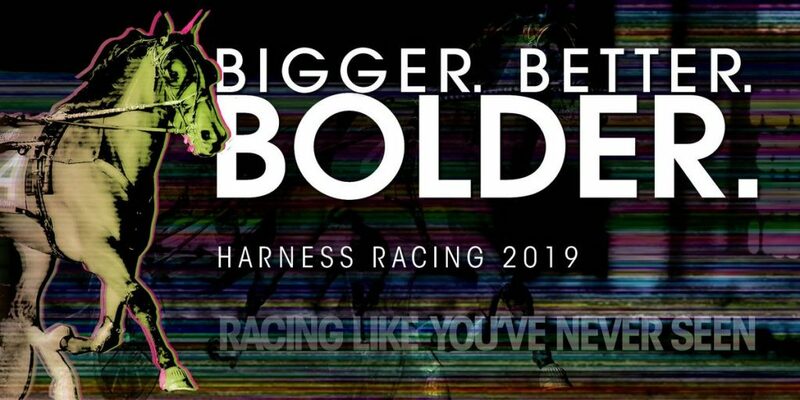 At odds of 20-1, Satin Dancer was a surprise to everyone, including Hooley, who was trackside to watch his four-year-old daughter of Big Stick Lindy take on the tough field of older trotting mares. 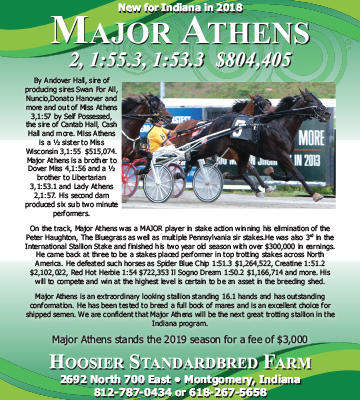 Satin Dancer, Indiana Sires Stakes champ last year, began her four-year-old campaign at Hoosier Park before shipping east to Travis Alexander. 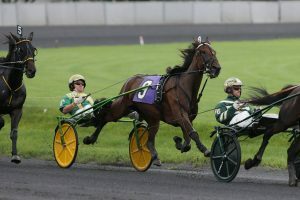 She had one start at Yonkers before competing at the Downs at Mohegan Sun, which led into the Vincennes at The Meadowlands. 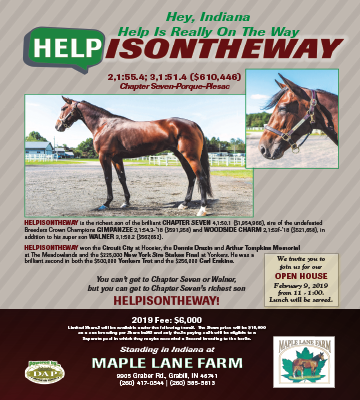 So far this season, the trotting mare has earned three wins and four seconds in nine starts with earnings in excess of $51,000. 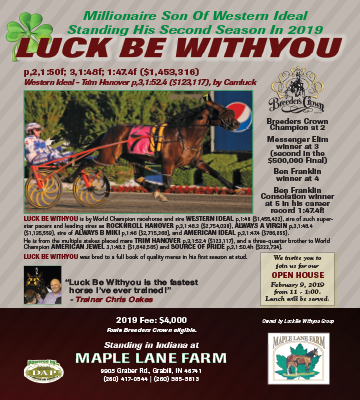 Bred by Merle Yoder of Topeka, Ind., Satin Dancer won 12 of her 19 starts last year at three. 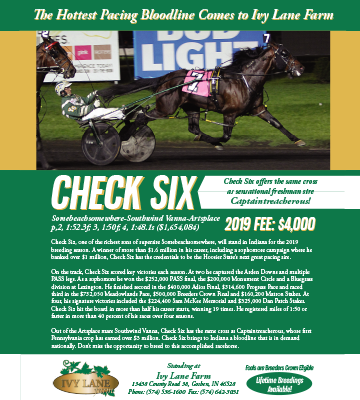 She now has in excess of $650,000 and took her new lifetime mark at Pocono Downs two starts back of the Vincennes appearance, which was her quickest mile to date in 1:51.0.